Nobody understands what it’s like to parent an oppositional, defiant child unless you have one. The exhaustion, isolation and feelings of helplessness and shame can be debilitating for any parent. 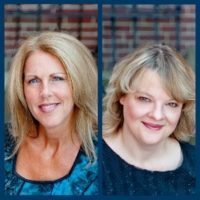 Kim Abraham and Marney Studaker-Cordner understand where you’re coming from, because they’ve worked with parents of kids with Oppositional Defiant Disorder for 20 years—and Kim is also the parent of an adult child with O.D.D. EP: Many parents of oppositional, defiant kids write in to EP and say that they feel helpless, ashamed, and like they’ve “failed as parents.” Why is it so difficult and exhausting to parent an O.D.D. child? You have to stop taking on your child’s personality as your responsibility. Kim: There are so many complicated feelings when you parent an oppositional or defiant child. You do feel like a failure much of the time. You’re disappointed with yourself and with your child because you know that you are both falling short of expectations. Your child is expected to behave, and you are expected to discipline them “the right way.” You’re expected to raise your child to be respectful and to be a successful, independent adult some day. And when you see that your child or teen isn’t heading in that direction, you feel like you’re not doing your job. You even dread holidays because people will ask you, “So how’s your family doing?” or “How is your son doing?” And you don’t want to answer that question. To put it bluntly, you just live in fear. As the parent of an O.D.D. child myself, I used to worry about what other people thought of me. I felt judged all the time. And make no mistake, people do judge; it’s human nature. So when you have a child who’s acting out and behaving disrespectfully—and who is also constantly doing things to bring negative attention to your family—you are being judged by society. And even worse, you’re being judged by your family, your neighbors, and school administrators. People are looking at you and saying, “This is your child—your product, so to speak—and he’s not turning out in a good way.” That’s when you really feel like a failure. EP: Marney, you work with parents of O.D.D. kids. What do parents typically say when they first come to you? Marney: Many times, the first emotion parents will identify is anger. But underneath that anger is something much deeper. Like Kim said, parents can start to feel like failures, even though that is far from the truth. Feeling ashamed is such a very vulnerable spot to be in. But it’s so understandable, because parenting an O.D.D. child makes parents feel ineffective, weak and exhausted. I think anger is the first emotion parents have because it makes you feel more in control—you’re mad, the adrenalin is pumping and you’re showing the world that hard front. But when you are able to go underneath those feelings, you can dig out that shame and embarrassment and helplessness. I always remind parents that you can’t control someone else’s behavior—not really. People are judging you on your child’s personality—something that you’ve got absolutely no control over. When you feel ashamed of something that you’ve done, you can change that. You can apologize, make amends or try to rectify the situation as best you can. But if it’s something your child has done, understand that it’s not your fault or responsibility, even though others may see it that way. EP: What happens if you don’t have a way to get rid of those feelings of shame? Kim: I can tell you from experience that you become very insecure with who you are—not just as a parent, but in general. Your faith in yourself is so shaken that you start doubting other areas of your life. You begin to think, “I’m not a good parent. Am I good at my job? Am I failing at that, too?” You feel defeated because you begin to believe that you are unable to do the biggest, most important job of your life. And you do feel very insecure and vulnerable. I think that no one really knows what that’s like unless they’re the parent of an O.D.D. kid. Marney: I also want to say that over time, if you don’t find a way to let go of those feelings, they start to eat you up inside. Some parents who come into my office are extremely depressed. They really believe that they are terrible mothers and fathers. Often, they’ve been beating their heads against the wall for years, trying to figure out where they went wrong; they simply don’t know what to do next. Sadly, there aren’t many places that can teach you how to parent better. EP: So how do you learn to let go of all of these feelings of failure and become a more effective parent? Kim: I firmly believe the key to all of it—letting go of the shame and blame and learning how to become a better parent—is really acceptance. I personally had to learn to accept the fact that my son was who he was. I have to admit it was extremely difficult to let go of the picture I’d created in my mind of what my child would be like–the picture I held onto for many years. Once I truly accepted him, everything changed, because I changed. The other thing that parents can do is to learn how to put the focus back where it belongs—on your child and his behavior. Blaming yourself won’t do any good. The way you shift the focus with others who may be judging or criticizing you is with your words. We call these “Pocket Responses.” For example, if somebody were to say something to you about your child’s behavior, you could reply, “Yeah, that was surprising to me, too.” You’re just sharing in their observation almost as if your child was a stranger on the street who just did something really obnoxious. I’m not saying that you shouldn’t give consequences to your child or hold them accountable for their behavior; I’m just saying that you have to stop taking your child’s personality on as your responsibility. With people who judge you, most of the time no matter what you say, it’s not going to change their opinion. Most of us, whether we have an oppositionally defiant child or not, have family members who want to give advice or find fault. Oftentimes there isn’t anything you can say that would really change their opinion. So those pocket responses are crucial, because they help you to avoid getting drawn into defending your parenting skills—or showing your vulnerability. Remember, as soon as you start defending yourself or trying to “fix” your child, you’ve taken the responsibility for your child’s personality. EP: Just to clarify, what would you say really is your responsibility as a parent and what isn’t? Kim: I think we have to go back to the basics. Other than providing food, shelter and clothing, your responsibility as a parent is to educate your children and provide consequences and discipline when it’s appropriate. You can teach them your values and morals and let them know what your hopes and dreams are for them. Give them an opportunity to meet those expectations and those hopes. And then model it—and live your life that way so your child sees how it can be done. But beyond that, there isn’t anything more you can do—not really. Another important pocket response that we use is, “My child is not a reflection of me.” For a long time I believed that my kids were a reflection of who I was until I sat down one day and realized that this was insanity. Think of it this way: If you have a child who does extremely well in school, would you take credit for all of his accomplishments? One of my sons was very successful academically and his teachers would compliment me, but I always said, “No, that’s all him.” I couldn’t take that credit because I hadn’t done the work or earned those honors for him. In the same way, you can’t take credit for the misbehavior of your oppositionally defiant child. I also want to say that there’s not one parent out there whose child turned out exactly how they wanted them to. In fact, when Marney and I lead parenting groups, in the very first session we talk about how you really can’t predict where people are going to end up in life. EP: What are some other concrete ways of dealing with the shame and the feelings of insecurity parents might be having? EP: Can you start to heal as a parent when you’re still feeling like a failure? Kim: Yes, absolutely. You can begin to heal, but you have to uncover what is making you feel ashamed. And again, I think true healing starts when you begin to accept your child for who he is. This doesn’t mean that you have to agree with his behavior, or that you think this is the way life should be lived. It just means that you’re accepting that your child is a human being outside of you. He’s a different person and he has the right to choose how he’s going to live his life. None of us wants anyone to tell us how to do that. You don’t want anyone to tell you how to live your life. I don’t want anybody to tell me how to live mine. And these kids don’t want anyone to tell them how to live theirs. They’re going to find their own path. I’m not going to sugarcoat it—some kids might face consequences along the way, especially if they end up breaking the law. But it’s still your child’s journey. If you continually try to force him to change who he is because you don’t like the path he’s on, you’re just going to set yourself up consistently for disappointment. But when you do get to a point where you can say, “I accept that this is my child,” then you can find a workable plan. You’re not constantly fighting to get your child to change—you’re working with what you have. Marney: And then you’re still holding your child responsible for the things he needs to be held accountable for. And these include legal issues, safety issues, and health issues. And you can just put it out there and say, “If you’re doing something that’s unsafe, there’s going to be a consequence involved.” But you have to stop fighting with your child over the fact that he is not the person who you thought he would be. Again, you just have to accept your child for who he is and start there.